Any city has many layers, but this is especially the case in Paris. You would need a few lifetimes to peel them back. I think of the layers more like a beautiful mandala that is very intricate and varied. So much so, that there is a little bit of something for everybody. 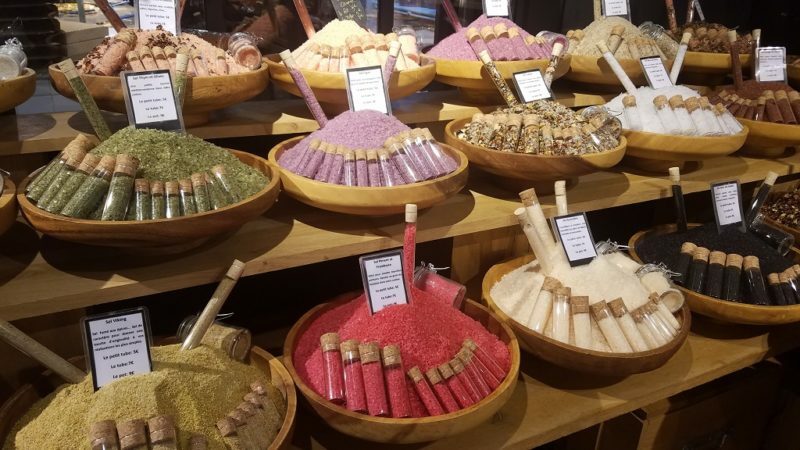 Whether your passion is art, history, architecture, language, romance, shopping, wine, cheese or anything else foodie – Paris has got you covered. No matter how long your visit is to Paris, it surely isn’t enough to see and do everything you want. This is the strategy I have developed for how I allot my time in the City of Light. Before the trip, I pick a few of the famous sights I want to visit. Of course this number is determined by the length of my visit, but suffice it to say, I limit the big sights to one a day. Sometimes none. I also pick out a handful of neighborhoods I would like to explore, even if I have explored them before. Since Parisian streets are not laid out in a grid, but in a series of concentric circles, there are hundreds of “hidden” streets and new encounters in any arrondissement. Then I check if there is any overlap between where the famous sights are and the neighborhoods I am keen on. If there is overlap, then I focus on that neighborhood for the day. 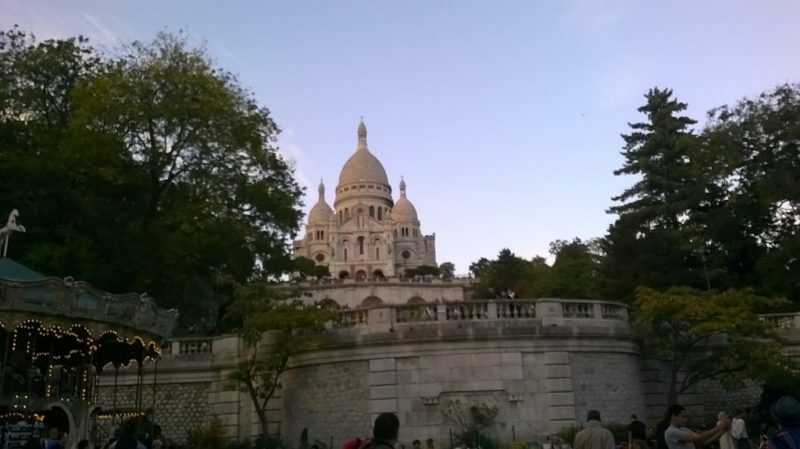 For example, touring the Basilica of Sacre Coeur and wandering Montmartre dovetail for a day in the 18th arrondissement. Paris has an excellent and efficient Metro system, so if need be, I can split my day in different neighborhoods. For instance, perhaps I want to visit the Sewage Museum which is near the Eiffel Tower, and I also want half a day to wander the Bastille neighborhood and hit the Marché d’Aligre. I’ll hit the Bastille in the morning and ride the Metro to the museum after lunch. Since Paris is best experienced by wandering on foot and just seeing where that takes you, it opens up opportunities for experiencing the city like a local. I am all in favor of hitting the big attractions, but I strongly believe the essence of Paris will pass you by if that is all you do. So get your stylish, yet comfortable walking shoes on, and let’s experience Paris like a local! A concert in one of Paris’ many gorgeous churches vs Philharmonie de Paris. Did you know there are 197 churches in Paris? I have seen organ concerts at Saint-Eustache in the 2nd. They happen every Sunday evening. Eglise Saint-Sulpice also has organ concerts. It is the largest church in Paris and where The DaVinci Code was filmed. And other churches sponsor organ concerts as well. They are a great way to experience in a relaxed way the music in truly historic places. And to make the deal even better, the entry fee is very modest. And, no matter where you go, check out the organ. The church organs can be so grandiose in and of themselves. Check out this website to learn about organs in Paris. And this website can get your started with organ concerts in Paris. How would you like to listen to a concert in here? Actually, the music offerings are not only organ concerts, they run the gamut from jazz to folk to classical and there was a lot of gospel playing on my last visit. It is just that the classical and organ concerts make my spirits soar the most. 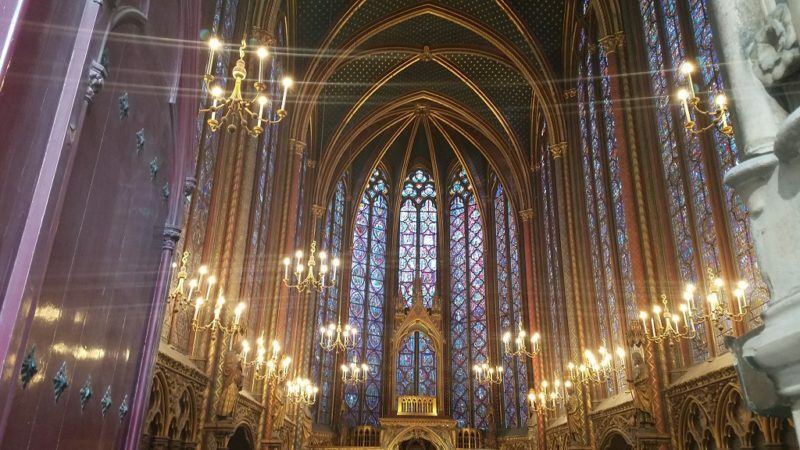 On my most recent visit, I saw a classical music concert by a string quartet at Église Saint Chapelle. It is a gothic church famous for its towering walls constructed of stained glass. And on this evening, the setting really served to elevate the atmosphere. It was an experience to be there as the sun went down and the sanctuary darkened. Then the dance between the violinist and cellist kept the audience engaged and spirits high. While I was fully present with the music, my mind kept replaying the thought “Paris is the coolest city on earth.” Check out this website for classical concerts in churches. Bois de Bologne or Bois de Vincennes vs Luxembourg Gardens. 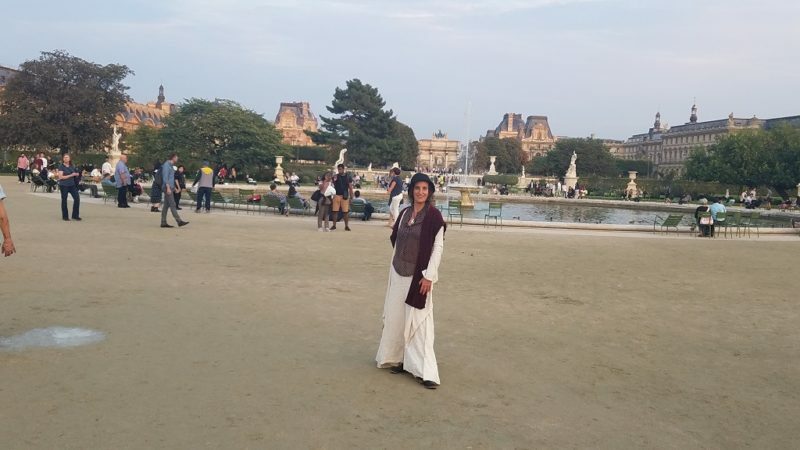 I can’t believe I am swaying people away from Luxembourg Gardens! Maybe not entirely, but the crowds on a weekend or middle of the day are nothing short of overwhelming. How about taking the Metro just east or west of the arrondissements to visit the wild expanse of green space, Paris’ two largest parks. It is not even accurate to call either one a park. Each one is a handful of different spaces with different themes that, in unison, are about six times the size of Central Park. 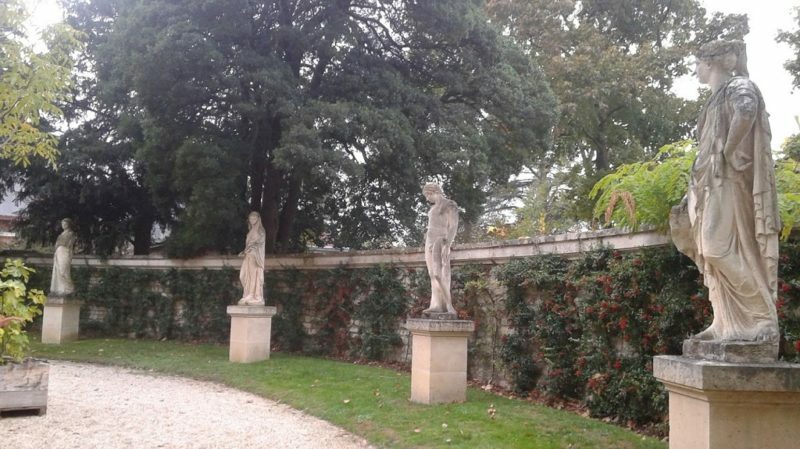 Napoleon III left his mark on Paris in so many ways, these woodlands being but a couple of examples. In fact, if it were not for him, current day Paris would not be what it is today. Consider these woodlands the gift that keeps on giving. I spent a whole day in Bois de Bologne and loved every moment of it. A canoe ride in Lake Superior was the highlight. You can read about it here. For whatever reason, the first flashing of the evening at dusk feels the most special to me. That will vary depending on the season, but do keep an awareness so you can catch it. While there is an appeal to being at the Tower at dusk, you can just get swallowed up in the crowds. 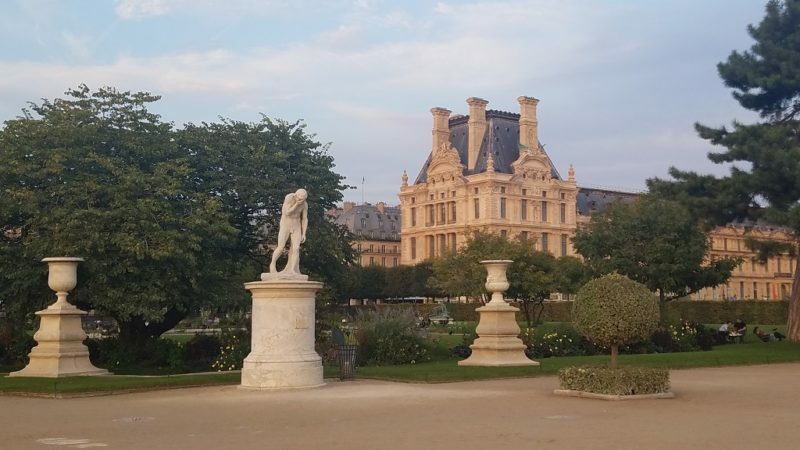 Instead, why not stroll through the Tuileries, arguably some of the most striking gardens in all of Paris. And turn around to face west, the Louvre will now be at your back. Straight ahead, a mile and a half down the Champs Elysees you can make out the Arc de Triomphe. And off to your left is that iconic structure that defines Paris, the Eiffel Tower. There will be plenty of people at the Tuileries, yet since it’s a large area, the crowds will feel spread out. When you see the sun dip down and the sky display shades of purple and orange, with the Eiffel Tower twinkling, for a few minutes, you just may feel like the luckiest person in the world. Although Notre Dame is not Paris’ largest church, it is undoubtedly the most famous church. Not surprisingly it is Paris’ most visited tourist attraction. I imagine that its central location is partially responsible for this. In fact, when the Romans occupied Paris 2000 years ago, the city consisted of the islands in the Seine River, which is where Notre Dame sits. 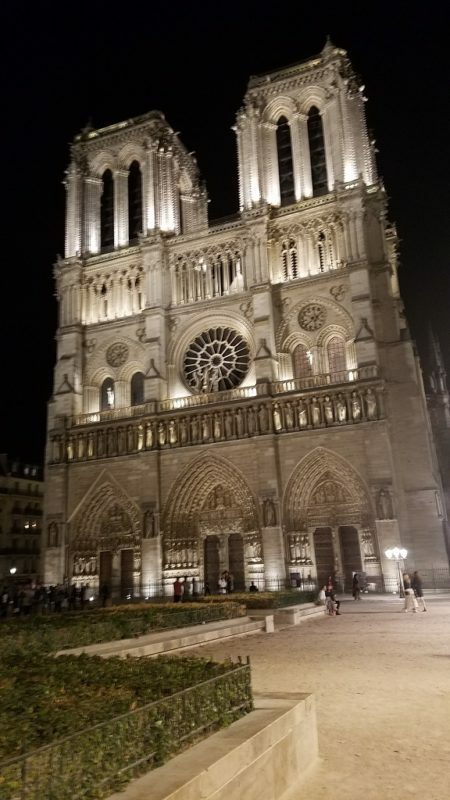 Even without trying, every visit to Paris will include some experience of Notre Dame. Going inside during the day is an opportunity to admire the gothic architecture and phenomenal stained glass close up. But my favorite time to visit is at night. The later the better. Depending on the weather and time of night, the plaza can have dozens of people on it, or just a few people on it. The daytime assuredly has hundreds, if not thousands of people at any given time. Parisians eat dinner late and when in Paris, I like to do as the Parisians. So an 8 PM dinner could easily have me starting an evening walk close to 11 PM. And why not incorporate Notre Dame into the walk? I have seen hacky sackers negotiating what type of music they can play on their boom box. I have seen an otherwise empty plaza with a sole guitarist leaning up against the ancient walls of the church, strumming a melancholic tune, in what felt like a private concert just for me. And on my most recent visit, I confirmed the rumor that yes, Paris has more rats than people. And many of them live right outside Notre Dame and come out in droves when they think the humans are fast asleep! But since Paris never truly sleeps, we end up sharing the space with the rats. First I was freaked out, then I was sort of intrigued. Watch the video here and see what you think. 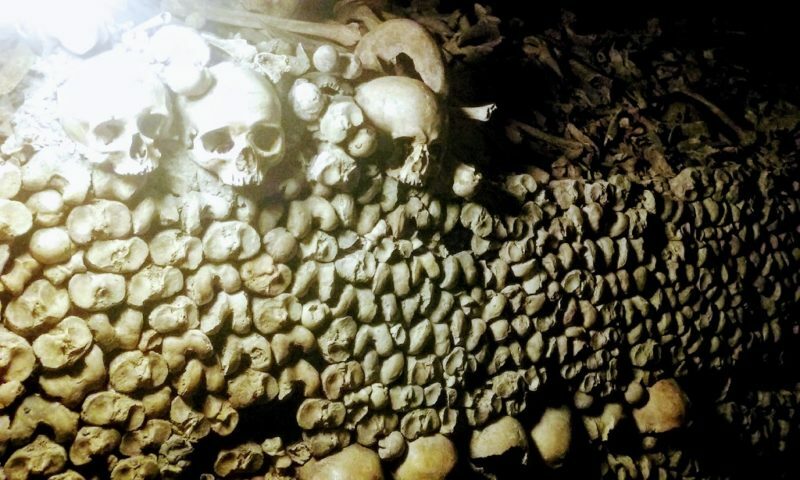 I have done this, and recommend you do, if you plan to be in Paris for more than three days. It is probably the most effective way to experience Paris like a local. Yet I feel compelled to mention that the city of Paris has been making threats to shut down or severely limit Airbnb inside city limits. Mainly because there are 45,000 Airbnb’s in Paris and the city has no grasp or control over them. The city has a registration system in place, but last time I checked only a fraction of Airbnb hosts had registered. Business could go on as usual or the city could follow through on their threats to close them down. So, take this into consideration when you select your lodging. Airbnb drama aside. It is just a whole lot of fun to stay in an apartment on some little street in a neighborhood that is occupied mostly by locals. You will be more apt to discover things like “your” boulangerie, fromagerie, charcuterie and marché. In my mind, once I figure out where to get bread, cheese, meat, and a local market, well, I’m pretty much set. Pint sized museums, neighborhood bistros, interesting antique shops and quaint parks, perhaps with a fountain, hidden out of plain view will reveal themselves to you. 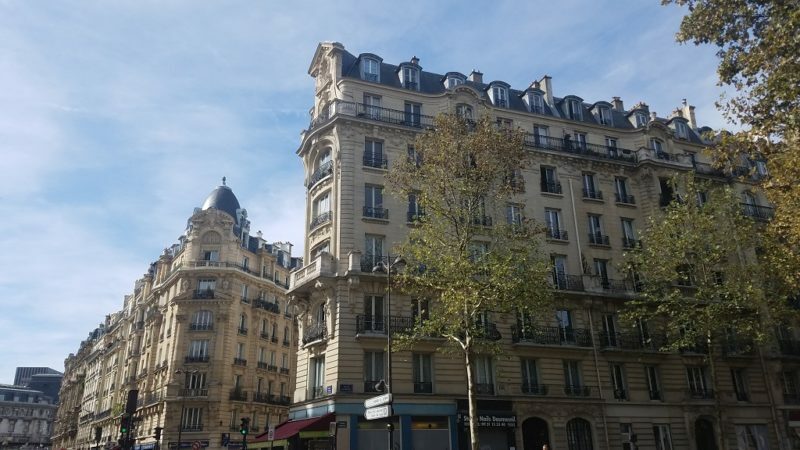 I have stayed in Airbnb’s in the Marais, Montparnasse, and the 9th ,near Palais Garnier. I liked them all for different reasons. However, I will mention that on the whole, and my opinion is formed from just these three places, that the Airbnb’s were not as tidy, clean, or well-maintained as a hotel, or even Airbnb’s I have stayed in all over the States. But for me, the benefits of living in a home and feeling like part of the fabric of a hood in Paris, even if only for a week, added to the magic of my overall trip. 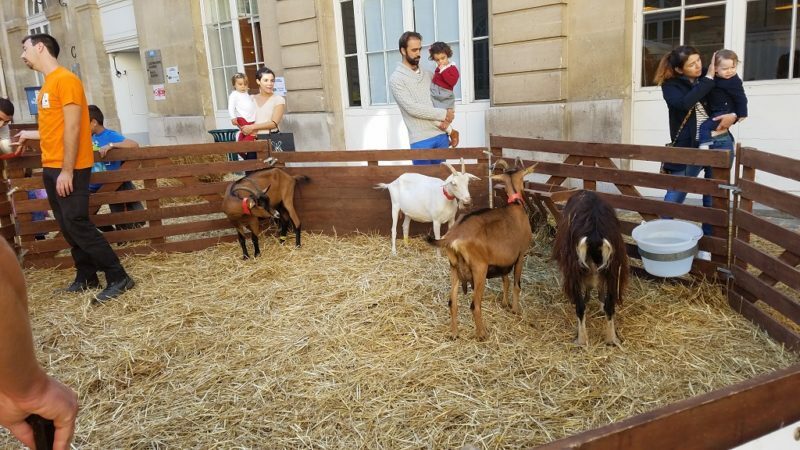 You never know what you may find in a Parisian hood – even goats! I want to say I have nothing against the classic Parisian bistros that line every main street, but all the meals I have eaten at them were seriously lackluster food experiences. And I’m being diplomatic here. I do love how their wicker chairs are set up facing outward, so patrons can watch the world go by. Paris is famous for this. But between getting swallowed up in cigarette smoke if you sit outside, and eating lackluster food (at best), I think there are plenty of more memorable meals to be had in Paris. And no need to go uber fancy, although that is certainly an option. When you get out of the main tourist thoroughfares, neighborhood bistros are very common. 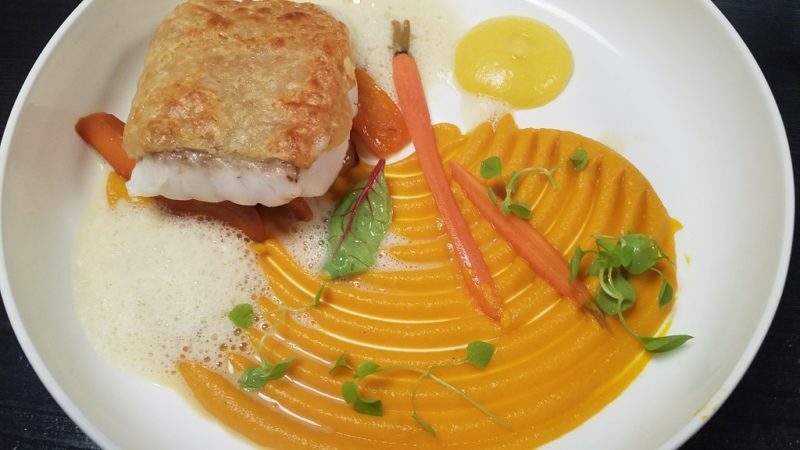 Many are classically French focused, like Alain Ducasse’s Aux Lyonnais. And a good number of them have an ethnic slant, which reflects that Paris is an international city. For example, I absolutely adore yam’Tcha teahouse, which serves bao and dumplings during the day and in the evening. And a superb meal was had at Pottoka, a Basque restaurant in the 7th. And I could go on and on, but do find a spot that suits your fancy. 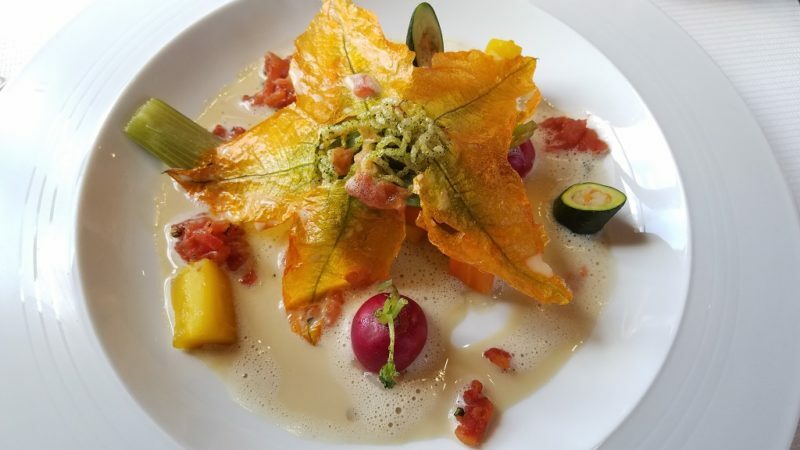 It is certainly not exhaustive, but Paris by Mouth can get you started on some suggestions for bistros. Something inherently wonderful about Paris is that since a love and reverence for good food is synonymous with being French. There is a bounty of tasty, nourishing beautiful meals to be had. And you don’t have to break the bank to do it. The Louvre is magnificent and ginormous. You could literally spend weeks there and still be scratching the surface. So, one approach is to follow my “digestibility” strategy and define a disciplined half day visit. For example, I have used Rick Steves’ guide to construct a doable morning visit. But hey there are lots of other choices to consider that can easily be more fun. Guess what? 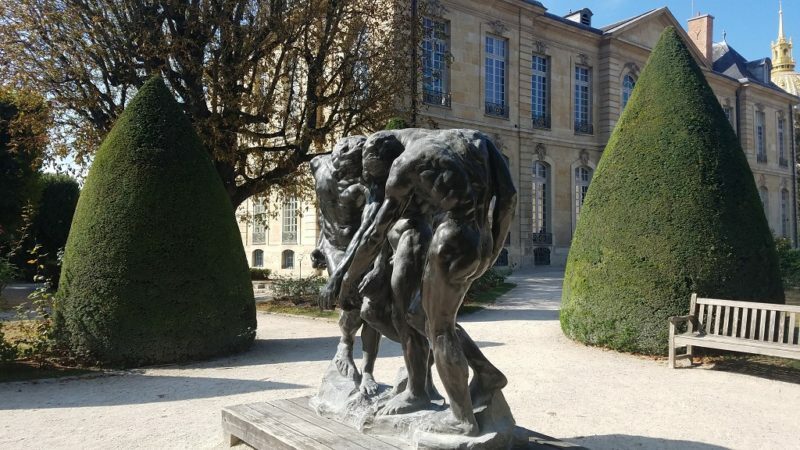 There are almost as many museums in Paris as there are churches! Well, not quite, but around 130 museums, and most of them will not engulf you. Do a cursory review here, and when you find some you are interested in, visit the individual websites to narrow things down. Take care to figure out closures, as many museums are closed on Mondays. A handful I have personally immersed myself in are Musée Rodin (displays the sculptor’s works in his old studio and in a wonderful sculpture garden), Memorial de la Shoah (moving testament to the treatment of the Jews in World War II), Musée de la Vie Romantique (a peak into the Romantic Age in Paris, including the impact of George Sand), Paris Sewer Museum (no need to explain this one, it is fascinating), Musée de Montmartre (the colorful history of the village of Montmartre) and the Catacombs (the ossuaries of more than six million Parisians, giving a fascinating view on a slice of Paris history). Just look at that variety! I could go on forever, but you get the idea. To get the most personal enjoyment, I limit museum visits to two to three hours, regardless of how interesting they are and how much I saw or didn’t see. Best not to get museum’ed out in Paris. So when eating and strolling call, heed the warning. L’Étoile houses the renowned Arc de Triomphe. Climbing the Arc is fun. But it is not a must do as it is way too crowded. 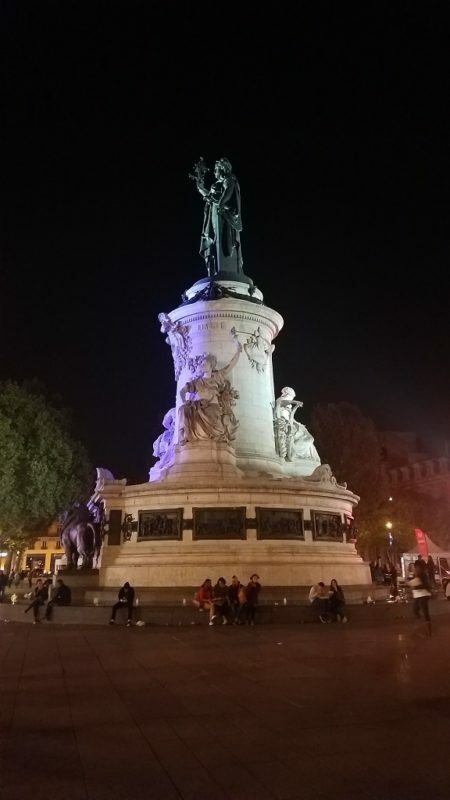 One plaza that I literally stumbled upon on my most recent trip to Paris was the Place de la République, on the way home from dinner in the 11th. The sights and sounds will be different when you visit, but here is what I saw. The central statue lit up at night was attractive. And the seemingly impromptu tango lessons definitely caught my eye. It was around midnight and there had to be around 50 people out dancing. Just 30 feet down on the square was a soccer match. And then for the history buffs, there was a fascinating exhibit on the French Revolution. All these good vibes might have you think this has been a place where people have gathered in joyful community since its inception. The gathering part may be accurate, but not always for joy. In fact, it was on République that the guillotine came down on Henry the XVI. Paris has an abundance of plazas to explore. Check here for some more ideas. Hit some offbeat shops vs shopping on the famed Champs Élysée and Galleries Lafayette. Walking down the Champs Élysée is fun, but unless shopping at overpriced designer stores is your thing, just stick with walking. Galleries Lafayette is one of the first department stores ever, so there is some interesting history there. And from up top, you get a good (if distant) view of the Eiffel Tower. Besides that, every day is like Black Friday there. Obscenely crowded. There are so many more charming spots to view some of the treasures Paris has to offer if you like to shop. I am not a big shopper, but I like to browse, and the same rules apply. So many places to shop in Paris, so little time! The St. Germain is the place for its upscale shopping. And there is a smattering of thrift stores there as well. I found a jacket that is just perfect for chilly autumn days. It is brown suede and very fashionable. When I get compliments on it, I say “oh that thing, I picked it up in Paris.” OK, I don’t really say that, but I think it! Then the flea markets are always fascinating. And you don’t have to trek all the way up to the famous Les Puces de Saint-Ouen, although that can be a worthwhile trek. 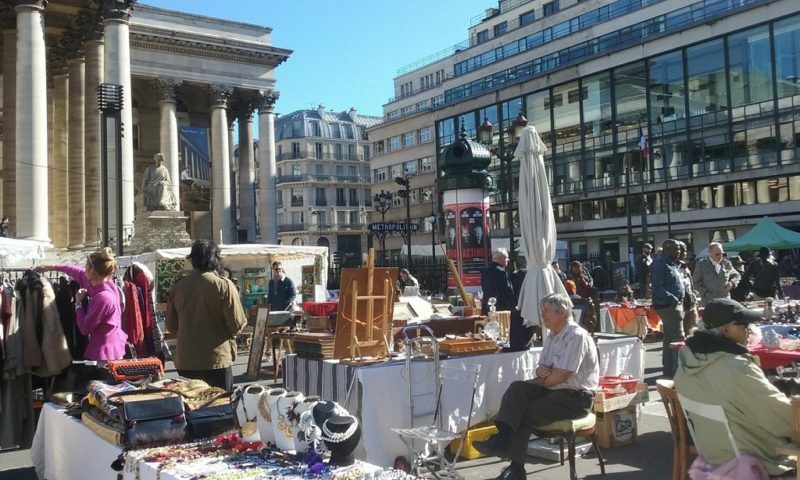 I have been to flea markets outside the Bourse, next to the Marche d’Aligre, and on Rue de Mouffetard just to name some fun ones. So many booths, you never know what you will find and bargains are to be had. Spending an afternoon strolling along the Canal St Martin and ducking in and out of the hipster shops is always fun. And before you do that, head to your local marché and get provisions (baguette a must), so you can picnic on a bench in your own time. You will find you are amongst lots of fellow Parisians doing exactly this. 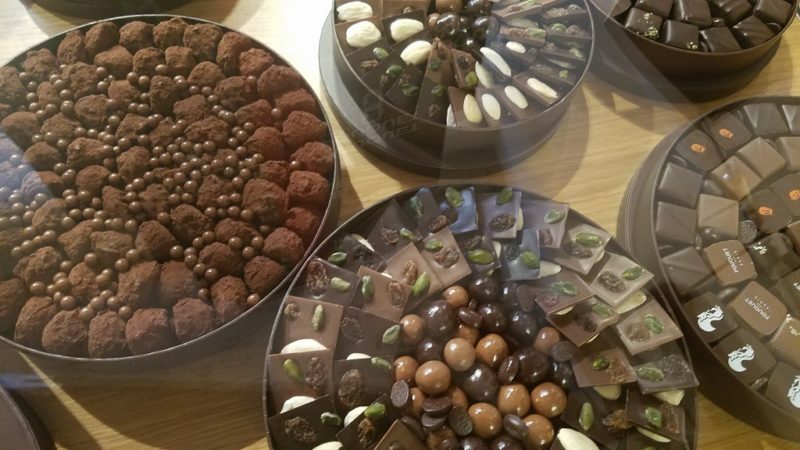 How about a self-guided bicycle chocolate tour in the St Germain vs sitting on a tour bus that promises to show you all of Paris in two hours. C’mon – who are you fooling? You are going to do little more than be stuck in horrendous traffic for a couple hours on a big bus. You’ll be lucky if you get a halfway decent photo of a street scene or a building as you drive by. Avoid those buses altogether. They are the antithesis of how to experience Paris like a local. Instead, make a focus of a certain yummy food and spend a few hours indulging. You can hit different wine bars, patisseries to find the best croissant, or you name it. I went with chocolate. How could you go wrong with chocolate!? 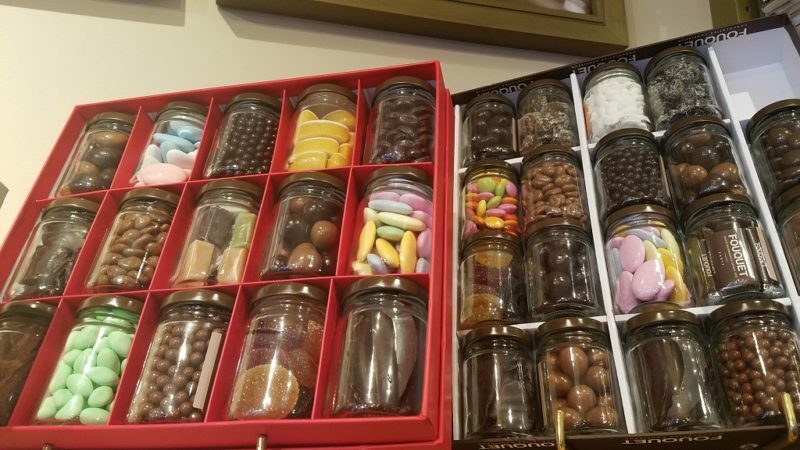 So where is the best chocolate in Paris? Chocolate shops are in the highest concentration in St Germain. Some years ago, I read an article about the finest chocolate shops in that neighborhood. It took some mapping beforehand, but I figured out an efficient route to visit them all. And beware of Mondays when planning, as half the shops will be closed. Next step, get to a vélib station to take out a bike. Downloading the app is useful, then you know where the stations are, for when you want to return the bike. Paris has bike lanes on the main boulevards. And on the smaller streets? Well, streets are narrow and cars are not necessarily watching out for pedestrians and cyclists. Biking is safe in Paris, but you do need to pay attention. The best part of the chocolate tour is that you get to eat lots of chocolate! And then you are burning calories as you ride to the next place, so it is all guilt free. All the shops sell small boxes, so if you can’t decide what you like best, you can get a purchase a few pieces at several shops. My all-time favorite chocolate shop in Paris is Alain Ducasse. The factory is in the 11th, but there is an outpost in St Germain, in the 6th, as well as several other arronndissements. Every time I return to Paris, visiting one of his shops is a must do. Have you been to the City of Light? 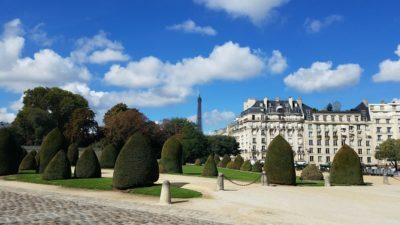 What were some of the things you did to experience Paris like a local? Share away!